This time we have got two wonderful cruise deals for you for an amazing getaway in the summer or even later, as you will see. The first one is an 11 nights Caribbean Holiday cruise, which means you will be at sea during Christmas and New Year’s Eve in 2017. And imagine this great cruises starts from only $1,359 per person and you would travel on MSC Seaside, the brand new ship of MSC cruises. The other offer we have for today is a 7 nights journey to Bermuda with Celebrity Cruises from just $684 per person. This one also costs less than $100 for one day on the exotic waters of the Caribbean with nice little shore excursions and full days docked. Excited yet? Pick out the cruise deal you like best and book it before it is gone! The holiday cruise of MSC from the top will depart from Miami, FL on December 23 2017. 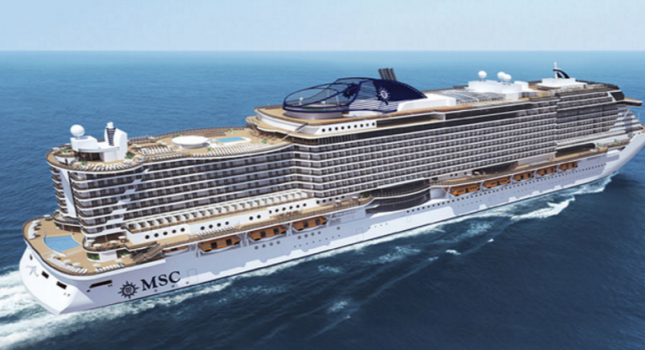 First MSC Seaside will stop for a day in Nassau, Bahamas, then comes one full day at sea. Than the ship will visit Ocho Rios in Jamaica, then another day at sea. MSC Seaside will dock in Cartagena, Colombia, then Cristobal, Panama and Puerto Limon, Costa Rica – one day at each location. One more day at sea, a trip to Belize City, Belize and after another day sailing MSC Seaside will disembark in Miami. And all of it starts from $1,359. Choose one or more travel sites from the box and compare their rates for other holiday cruises of the different cruise lines. You may find offers that you like better than this one, it is worth a couple of minutes of your time. This entry was posted on Wednesday, March 1st, 2017 at 9:15 am and is filed under Cruise Deals, Top Deals. You can follow any responses to this entry through the RSS 2.0 feed. You can leave a response, or trackback from your own site.